A highly effective aqueous based cleaner designed to remove fluxes and flux residues from delicate metals such as copper, aluminium, magnesium or printed circuit boards. For use in ultrasonic tanks or spray immersed applications. 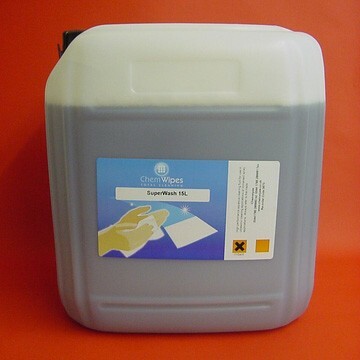 Perfect for cleaning PCB carriers post spray fluxing in a wave soldering machine. Use neat in ultrasonics applications or dilute with water if required.